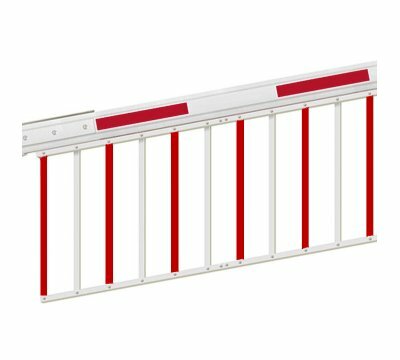 Elka Folding Skirt 75 Red / White for the ES50 - ES80 / KOLOSS 60 - KOLOSS 90 range of automatic barriers. 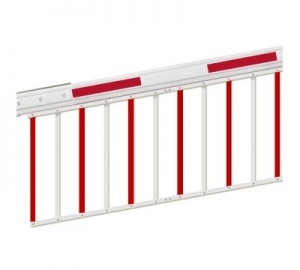 Constructed from flat rolled red & white aluminium profiles 15 x 3 x 750mm high x 1 metre long. Available in 1 metre lengths, please select quantity.